Make friends with this spirit. Jumbie is the other friendly ghost. 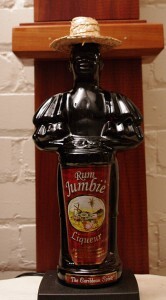 Notes: The “Jumbie” that this rum liqueur is named after is a ghostly spirit that will sounds like someone best avoided. This rum liqueur on the other hand is something to seek out and make friends with. This is one of the few rum producers who grow their own sugar cane which allows them a bit more control over the sugar cane they use in their product for both consistency and taste. They are also to be complimented on their green/environmental practices. They are one of the few companies that hand harvest their cane fields rather than burning them off first for mechanical harvesting, using all the by products of rum production for for energy production, a bottle refill/recycling program for their products and a commitment to be as pollution free as possible.This is in stark contrast to certain other companies (such as Bacardi) who have been caught actively polluting and causing environmental damage while producing their rum. 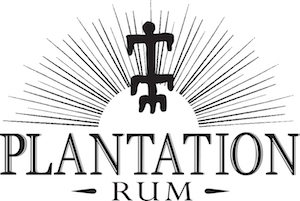 The company produces a number of other products including some very nice rums such as their Ron Abuelo Anejo, Ron Abuelo 7 Year Old Anejo ,Ron Abuelo 12 Old Anejo , which we have reviewed and a series of flavored rums which we have not but are on the Jumbie homepage for your consideration. First Impression: Very spicy and full of tropical citrus. Passion fruit, mango, cloves, nutmeg, cinnamon, orange, lemon, lime, a kitchen cabinet of other fruits and spices vying for your attention. This is all blended into a rather nice rum base that adds a subtle cane sweetness to the mix. Appearance: Clear as glass with a bright bronze/gold yellow appearance, looks like a puddle of jewel quality amber. Amazing body. On swirling, leaves a oily even coat on the glass with few long legs developing. Taste: Wonderfully viscous, almost like tree sap,mango, orange, passion flowers,limes, cinnamon, ginger,cloves rum/molasses notes. A very concentrated and heady mix of flavors that form a very cohesive and tasty whole. Drinks: We tried it in a number of drinks. A very delicious and unique flavor profile that add some very good good elements. I think it holds a lot of promise and could be a very interesting ingredient for some new cocktails. Bottle: Figural dark brown glass in the shape of a mariachi drummer and drum with a handwoven grass hat. Looks a lot like something you would find at the duty free at the airport. Multicolored paper label and font is very charmingly retro and reinforces that feel. 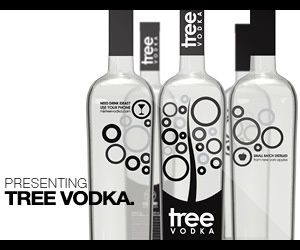 Really stands out in a bar – either your home bar or the backbar of a commercial bar. Final Thoughts: Usually I avoid anything in a overly cute bottle and especially something wearing a hat. Wonderfully done, if a little idiosyncratic. While a touch pricey the trade off is very good quality and an environmentally responsible product. I don’t know of many cocktails calling for this liqueur, conversely I think because of this it would be a great item to experiment with and could lead to some very good and totally new drinks. Bartenders and cocktailians take note. Quick loading webpage with attractive products, drinks recipes, and not a lot of information.